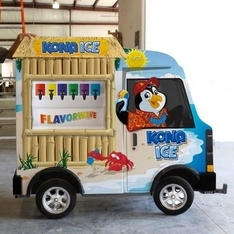 Kona Ice St Louis is a fleet of completely mobile trucks that offer premium gourmet shaved ice snow cones and novelty ice cream. 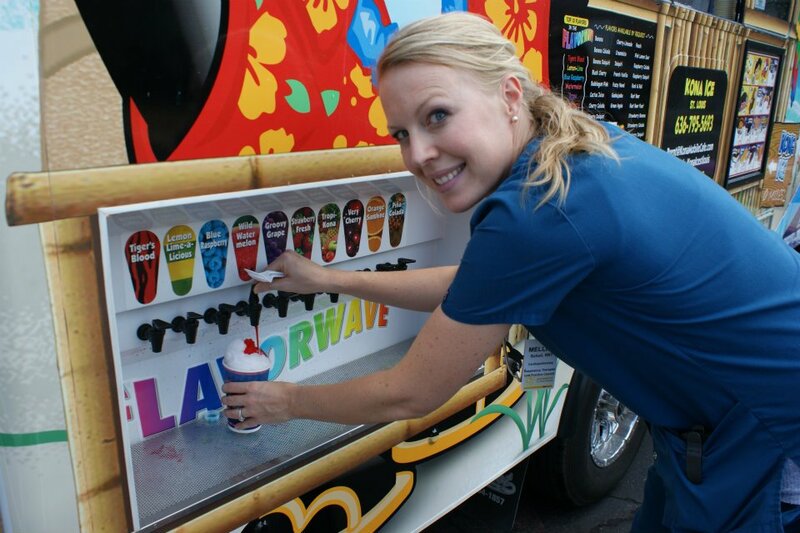 Customers get to pick and dispense their own snow cone flavor(s) from the “Flavor Wave” System attached to the side of the truck. Kids and adults alike love creating their own unique flavor combinations. 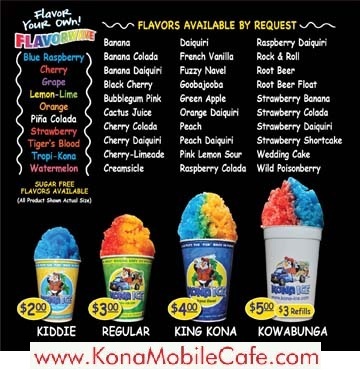 The Kona Ice Experience is fun for all ages and is a great addition to a school, daycare, fair, festival, church event, corporate event, or office party. Fund raising opportunities are also available. We also carry Gateway Mini Melts - premium beaded ice cream.